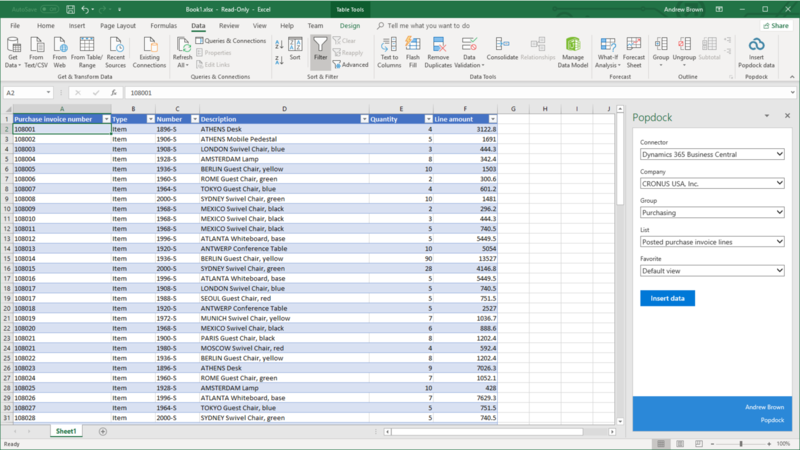 All your favorite lists easily accessible within Excel. Insert your list into Excel. Popdock is available to install from Microsoft AppSource as an add-in for Excel, Excel Online and Excel for Mac. When installed, you can quickly insert data from all of your connected apps directly into Excel. You don't need to log in to Popdock. Simply open Excel and use the Popdock sidebar to insert the data from any default list or favorite as a table, ready for you to filter, chart, pivot and manipulate. The Excel Add-In only works with a Popdock Account, are you ready to give it a try?